Even as Nike stock has outperformed its benchmarks so far this year, contributing to a badly needed 9% return last year for New Jersey's $78 billion public worker pension fund, the board supervising the fund is considering dumping its roughly $44 million stake at the behest of representatives of the state's retired police and firefighters, who have complained that the company's Colin Kaepernick ad campaign is deeply offensive. 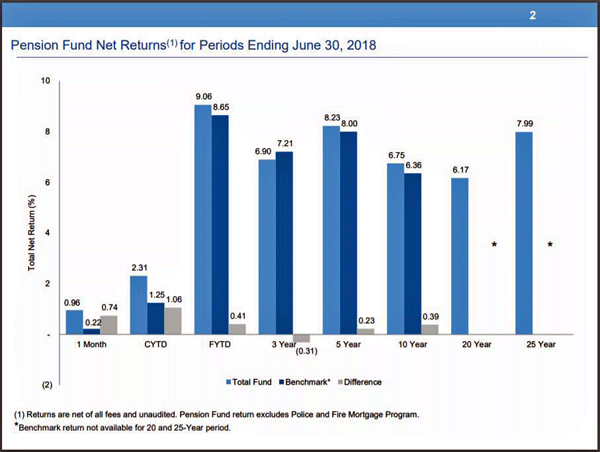 New Jersey's pension fund is among the worst-funded in the country (you can catch up on our analysis of its ongoing troubles here). Its finances are in such dire straights that even though Democratic Gov. Phil Murphy allocated $3.2 billion to the fund as part of his budget for the 2018 fiscal year - the state's largest contribution in ages - that amount is only 60% of the full amount called for by the actuaries. Still, NJ.com reported that Marty Barrett, a representative of retired police officers and firefighters, asked the State Investment Council to consider divesting from its Nike holdings because of the ad - a request that was readily honored, with the board voting unanimously to review its holdings, which include 311,500 equity shares valued at $26 million and 20 million principal valued at $18 million. 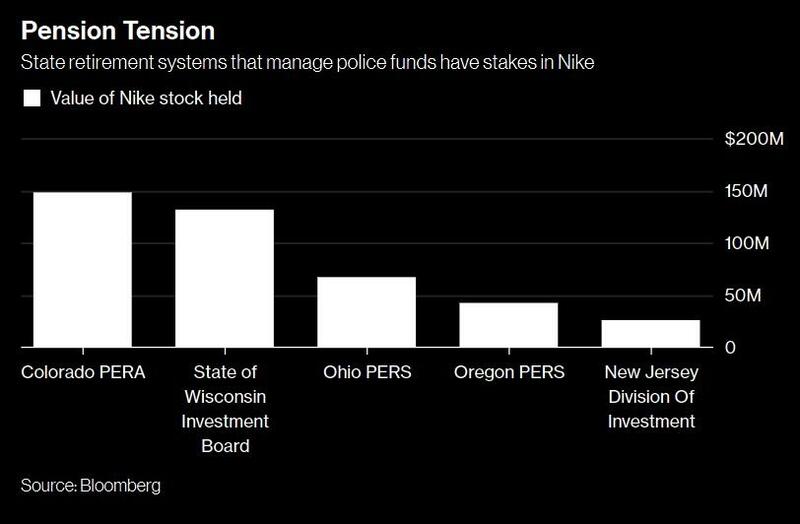 As Bloomberg pointed out earlier this month, four other public pension funds that manage police pensions (in Colorado, Wisconsin, Ohio and Oregon) also own Nike stock. Barrett declared during his presentation to the council that Nike made "one of the worst business decisions of all time" when it created the ad campaign. Nike's use of the sports figure, whose protests of police brutality during the National Anthem drew controversy, has triggered boycotts of the brand. Barrett said Thursday that Kaepernick's protest disrespects members of the military and first responders who were killed on 9/11. Nike "made one of the worst business decisions of all time" in making Kaepernick the face of its ad campaign, Barrett said. Perhaps unsurprisingly for a blue state, New Jersey's SIC has divested stakes in gun manufacturers and private-prison companies following pressure from left-wing groups. But will they grant the same courtesy to police and firefighters that they did to high school students and the Latin American community? Of course, the fund's decision to dump the stake could also dampen Nike's banner performance this year. And once the first domino falls, others could soon follow.